Please feel free to contact us anytime concerning your landscape needs. Just fill out the form below and we will contact you shortly. Our minimum for landscape design/ installation projects is $1,500. Is this an investment you are ready to make? 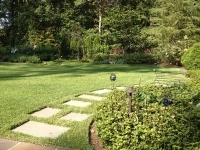 Our minimum for landscape maintenance is $250 per month with an annual contract.